Over the past couple months we've gained a lot of new followers. If you are new to The Village Link (TVL) then this post is for you! We wanted to take a minute to re-introduce ourselves, give you an overview of our programs, approach and what we're all about. It's that giving time of year again, which means busy malls and crowded public places. Many people opt to shop online for those two reasons alone. With all the friends and family on your shopping list, it can be overwhelming to consider adding a charity to that list of gift receivers. That's why we've made giving to TVL even easier this year! Now you can shop online and donate all while not breaking the bank! Let us re-introduce ourselves...and what we're all about. Our year end review and looking back at what we accomplished in 2016. Rural Internet Installation in September 2016. In the beginning of this program we were inspired by Toptal's women's STEM scholarship to launch a coding program in hopes of sparking an interest amongst these girls. We didn't know what to expect. It was an exploratory program for us but we wanted to see where we could go with it. 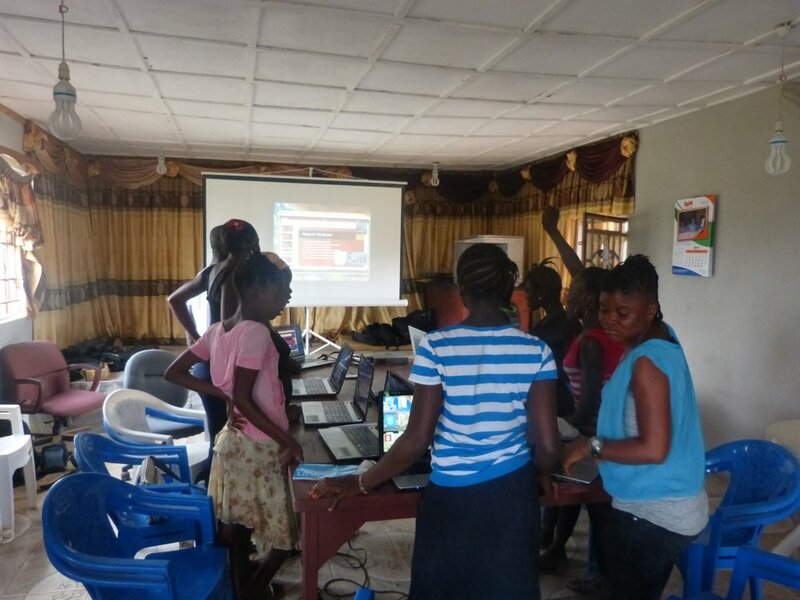 The group of girls that took the coding class ended up being very engaged by the content and were a very inquisitive group. Our classes would often digress into sidebar conversations about topics outside of coding such as how the internet works, the various functions of the computer, how to build a resume and more. 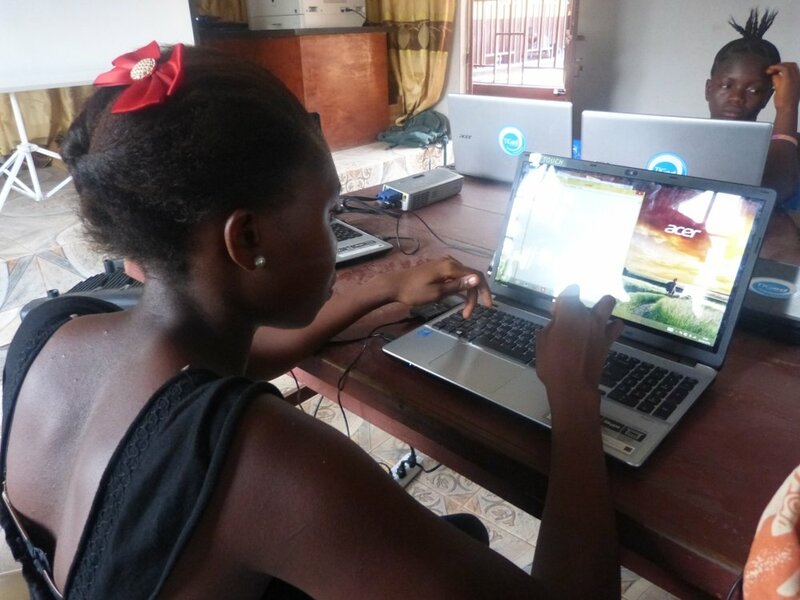 This ongoing dialogue turned our girls coding program into something much more than initially planned. 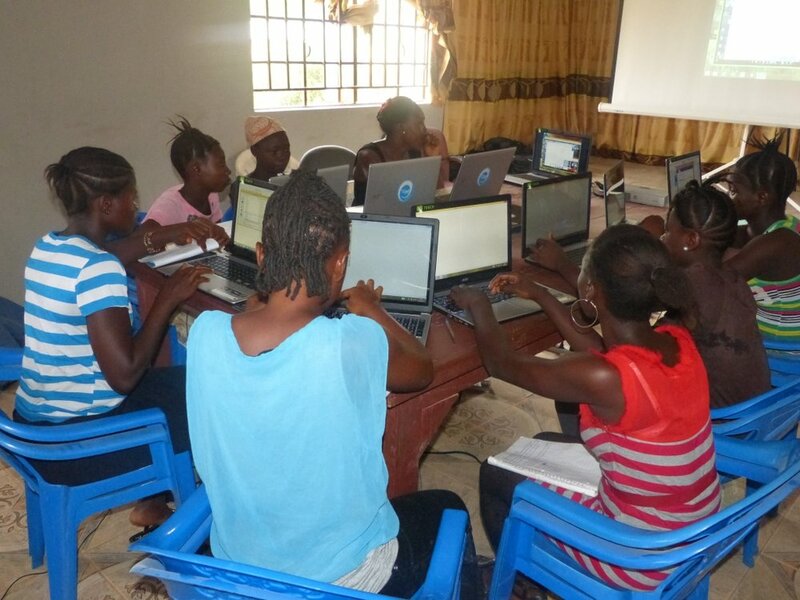 After four weeks of classes it became evident that the girls wanted to continue learning. 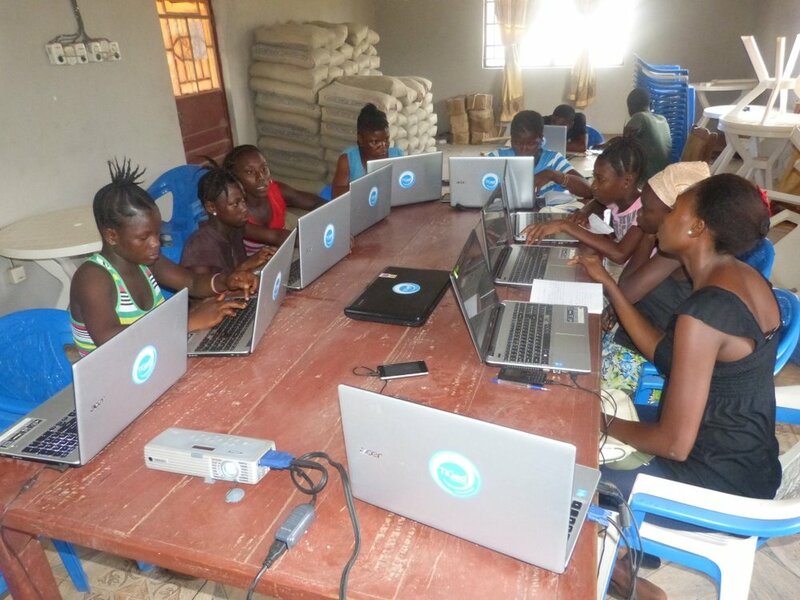 We started to work with local Sierra Leone tech companies to begin planning a phase 2 to this program including internships. 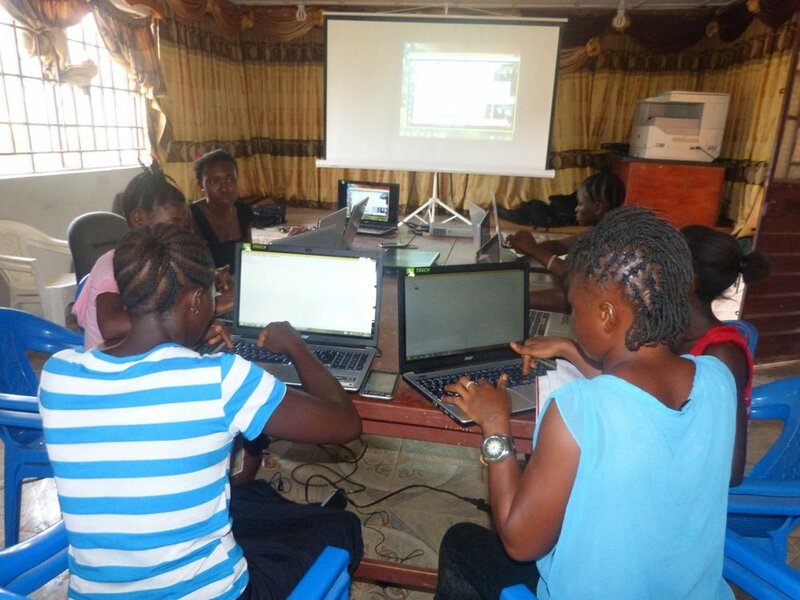 Below is a recap of the last two weeks of the coding class and what the girls learned. Lesson 6 built on our progress so far as we learned more about the computer, magnets, and the hard drive. We discussed how hard drives work by adding and removing tiny magnetic particles and created our most difficult program yet. 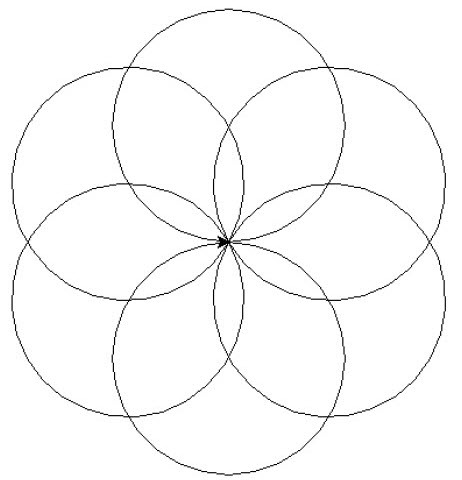 This one asked the user for their name and then created a spiral with the name. 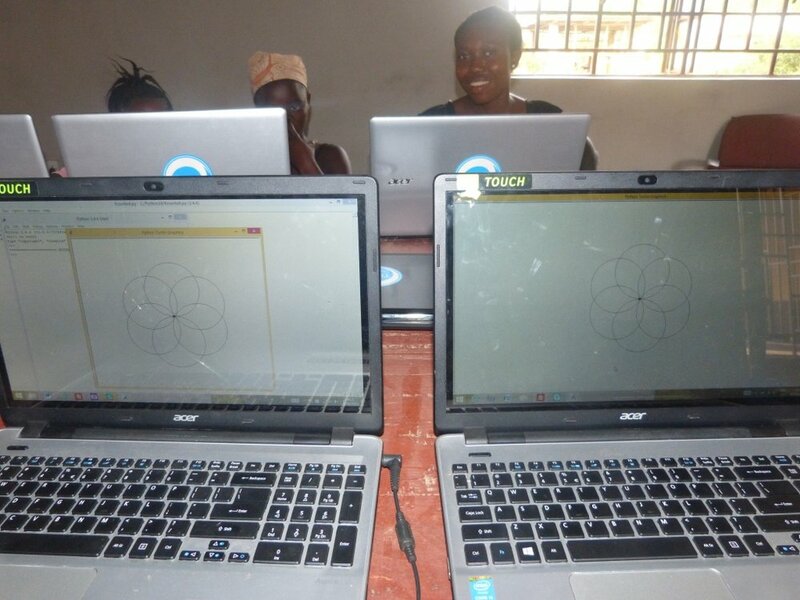 Thanks to Francis our onsite teacher, he helped the girls with their troubleshooting and everyone had success creating their programs. For our seventh and final lesson of this series, we started off with our usual 'pass the rock' game and then the girls worked programs that drew black and white circles. 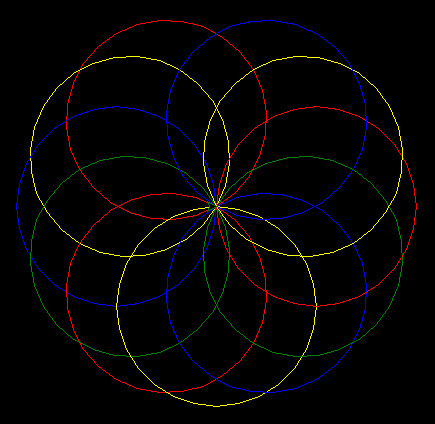 After all the girls had their programs running, we changed the background colors and number of circles that the programs drew. This was partly to get the girls ready for their next series of web classes, where variables that control page colors will be more important. At the end of class we discussed resumes, and what we've accomplished so far. 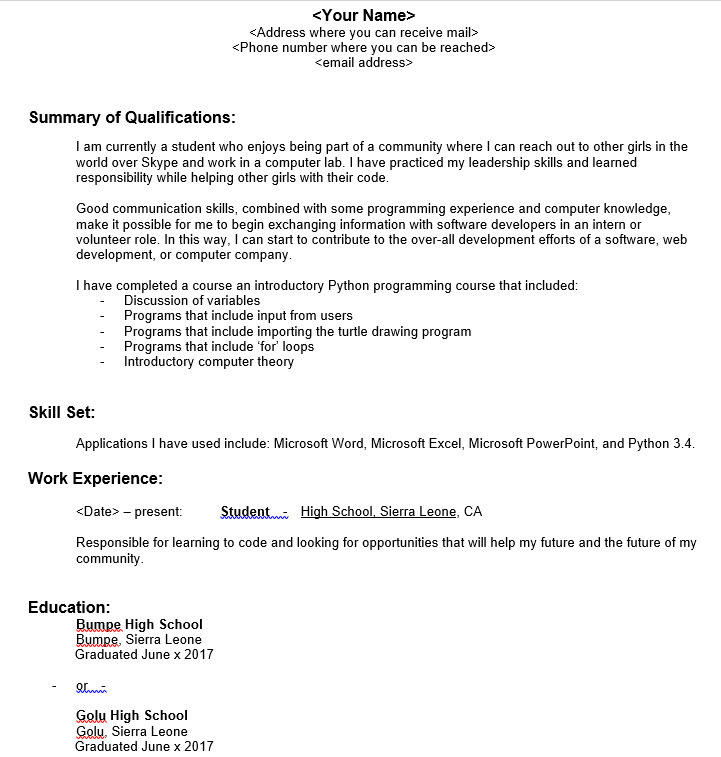 The girls now have resumes that they can present when an opportunity comes along. 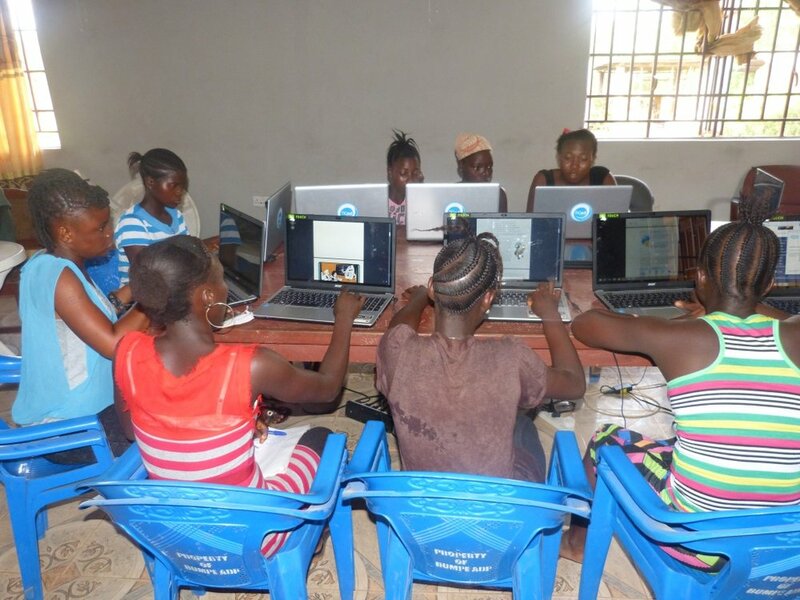 Stay connected with us to learn more about the second phase of our girl's coding program. If you are determined to learn, nobody can stop you. In addition to learning the basics of coding we end up covering a number of impromptu topics that come up. This week our coding class had a general discussion of how the internet works - from the idea of tin cans and string to radio-like waves, cell towers and satellites. The girls are curious and usually one question leads to another. We're just happy that they seem engaged with the content. The programs we worked on this week produced beautiful drawings because we introduced background color and pen color. We chose to use graphics as a way to teach coding since it's visually appealing and they can see instantly how creative coding can be. 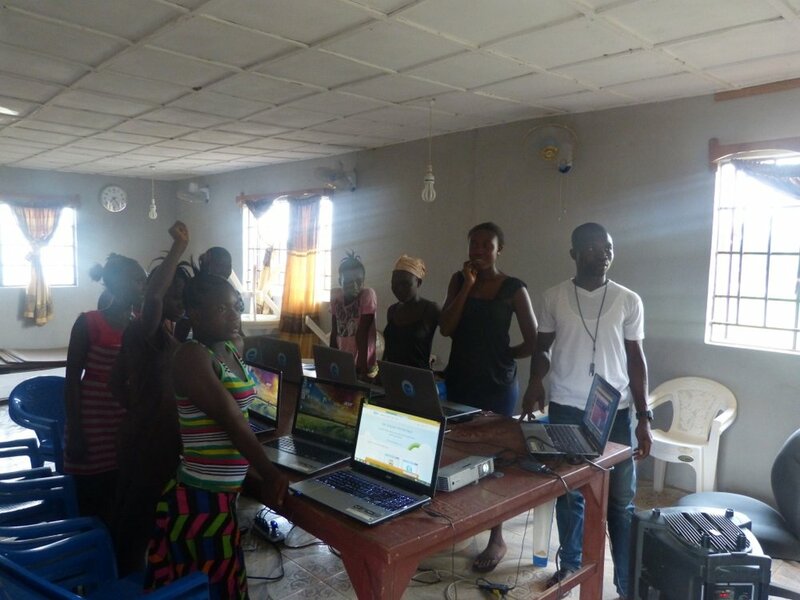 Francis was the star of the day, as he helped the girls go through all of our troubleshooting steps slowly until all of the programs were working. 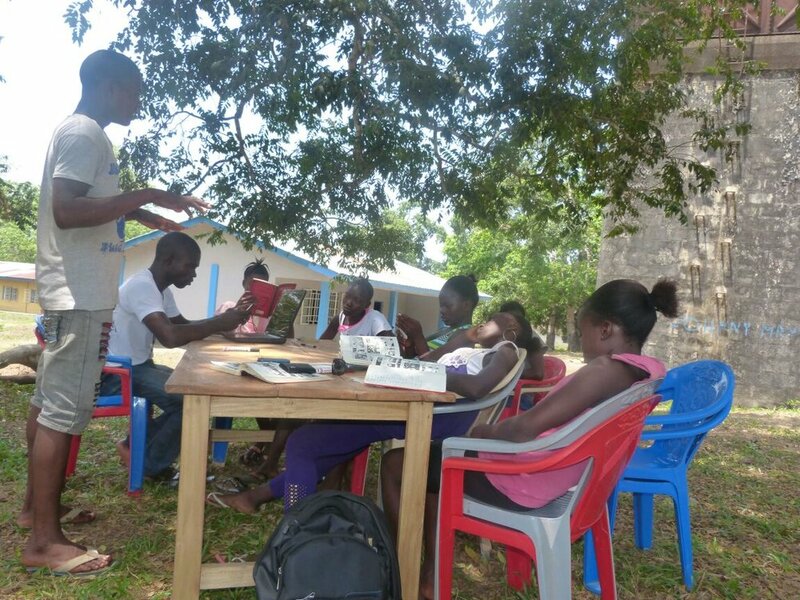 Just as most of the programs were running, we received a special visit from the honorable Ambrose Brima Fomba, the Area Development Program Manager for World Vision in Sierra Leone. He thanked us for our development work, and we thanked him for letting us use their internet/Skype connection for this coding class. Journal Entry #4 - Repetition leads to learning. "Repetition is the mother of learning, the father of action, which makes it the architect of accomplishment." We're so proud of the girls and their continued effort to learn coding. It's not exactly like coding is for everyone. When we started off down this road we really didn't know what to expect. Would they enjoy the subject matter? Would they understand it? Where will this lead us and them? All questions that we're starting to get answers to as the weeks pass us by. At the beginning of this class we built a learning to code basic 101 curriculum that we planned on following throughout the 7 weeks. However, what we've quickly learned is that when launching a program like this, in an environment where the children are not raised around technology from a young age, a lot of what we might find intuitive is not for them. The learning curve is higher than we planned but that's ok. It's important that they absorb and retain the information. So we've slowed down our lessons and added in more detail around computers and the internet in general. As questions come up we take time to address them and make sure everyone understands before moving forward. What we've found is that repetition is the best way for them to learn. This is an extra curriculum course so we're not bound to a strict timeline and have plans to extend our course to make sure we can get all of the course content in. Over 50% of the girls have expressed a real interest in the subject of coding and would like to continue learning. This makes us very happy to hear! Not only that, we have people reaching out to us from other parts of the world that have heard about what we're doing and asking for us to help setup a similar coding course. The response to this program has been positive and better than expected! 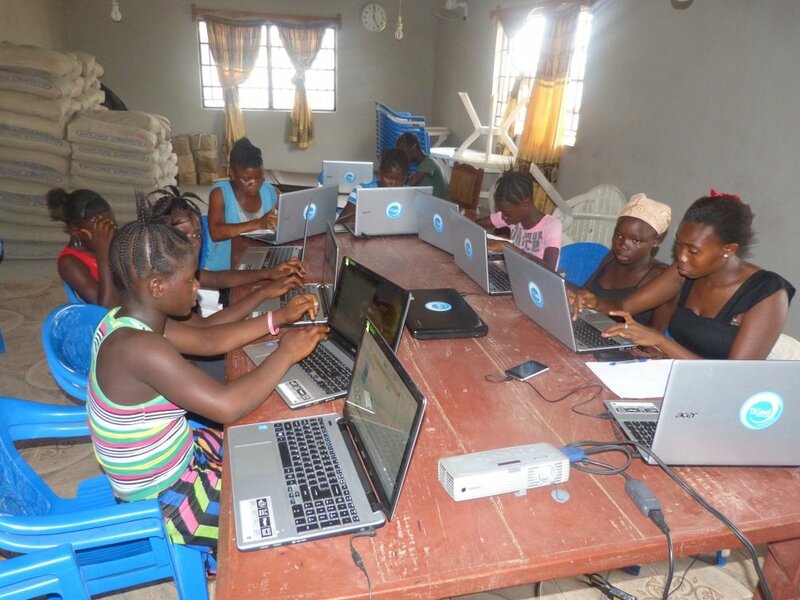 As we continue to work on coding lessons we're also working with local Sierra Leone Tech companies to build out internship opportunities for these girls to work on real coding projects. 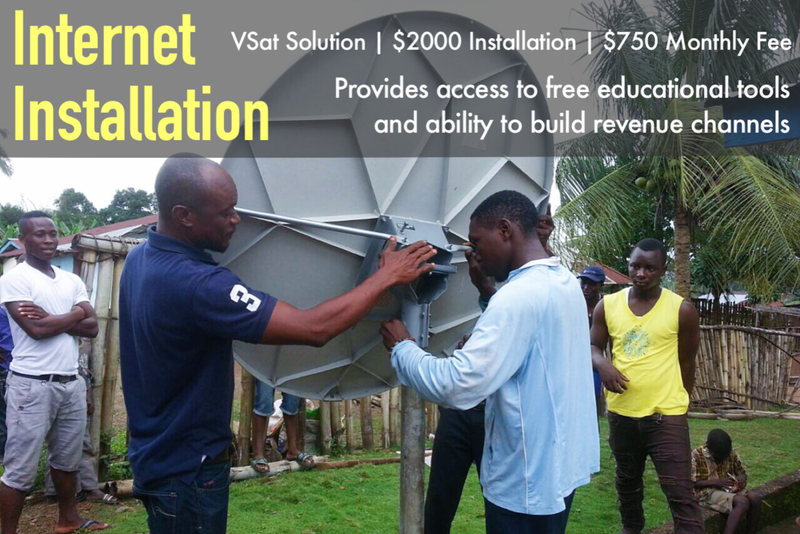 Stay connected with us for more information to follow as we build out this phase of the program. We hope to expand our course curriculum to include web development and mobile app development since these are two skills that will give them the best opportunity to obtain paid work. This week during coding class, we talked briefly about the Internet and how computers are linked together by phone lines and satellites. The girls ran their 4th program today, after reviewing their troubleshooting skills from last week. 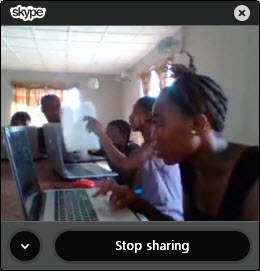 After the programs were running, the girls practiced typing key phrases that we've learned in class.